"I hates those mieces to pieces," is how one cartoon cat used to put it and most old-car hobbyists will agree. 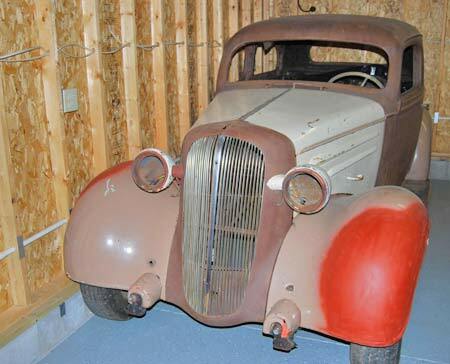 Mice — and other varmints — don't just stink up Stanleys and Studebakers; they can ruin carpets, chew through electrical wires (sometimes causing fires), nest in heaters and create a downright unhealthy environment inside your vintage vehicle. Keeping furry little creatures out of cars is high on the priority list of collectors. Solutions to the problem have ranged from Rube Goldberg-like contraptions to sonic waves to zipper bags that you drive your car into. The Funniest Mouse Trap Award goes to the man who took a metal pail, removed the handle and stuck a rod through the holes. He rigged a spoon to act like a pendulum that rotated on the rod. A gob of peanut butter balanced the spoon and a piece of wood made a gangplank for the mouse to walk on towards the peanut butter. The pail was filled with antifreeze. When the mouse jumped on the spoon to eat the peanut butter it made the pendulum swung and tossed the rodent into the poisonous liquid. The inventor swore this worked time after time. Actually, the best way to keep a mouse out of a car is to keep him out of the building the car is in. Make sure the building has a "rat guard" barrier that goes around the bottom of the structure and into the ground, preventing pests from burrowing in. If there are gaps on the bottom of the walls, fill them with steel wool. Keep doors and windows sealed as tightly as possible. Use metal collars or rubber gaskets to seal openings for electrical wires, fuel lines and pipes. Keep food out of your building and cars. With nothing to eat, mice won't stick around. Don't leave scraps or crumbs in the car. Vacuum the carpets, seats, under-seat area, console and glove box. Remove the petrified French fries from the side of the seat. Shampoo the carpets so they're clean and smell fresh. Mousetraps and poisons defend against unwanted furry visitors. There are many types and prices. They work, but remember that traps are designed to attract mice then kill them. Keeping mice away in the first place is better. Cats kill mice, but also like to roost on cars and leave claw marks in paint. Heavy cats ruin convertible tops. Cats require food that can actually attract mice. In most cases, mice and varmints enter a car by scampering up the tires. If the vehicle is stored without tires, it is a bit harder for them to get inside. 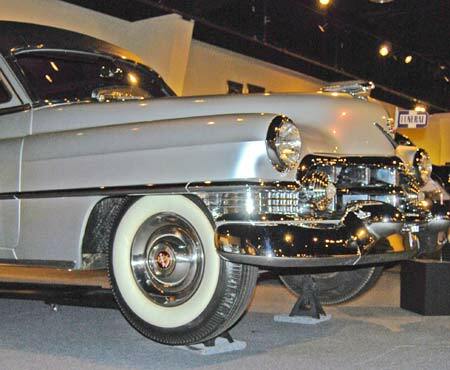 "Tireless storage" will also keep your tires from developing flat spots on the bottom. Mice can nest several places in a vehicle: the engine compartment, the interior and the trunk. Mice are drawn to the warmth of an engine or heater motor. They will eat electrical wires and even spark plug wires. Recently a collector stumbled upon a simple way to keep an engine bay mouse-free — leave the hood up. After he inadvertently left his hood up, his mouse problem left, too. Mice don't like light, so leaving the hood up may not work as well in a dark place. Mice can get in cars through holes around cables, pedal shafts, steering columns, and so on. If you can seal all these openings up, mice can't enter. Leave the sun visors in the down position. If you want to keep the windows slightly open for better airflow, cover the opening with screening. Usually, mice can't get in a trunk if you seal interior openings. They usually enter the trunk from the rear seat. Some cars have drain holes in the spare tire well. These holes should be taped over. We just fished a giant mouse nest out of the trunk of a Triumph TR250. Never touch a mouse nest with your bare hands. People put mothballs all around a car. A line of mothballs should have no gaps. You can put mothballs or scented soap in a cake pan in a car to keep mice away. Mice hate the mothball smell, but so will your friends. The smell of mothballs can be eliminated with a Yankee Candle under the seat on a hot day. Zipper bags seal the whole car. There are two types. The first is a big plastic sack with a zipper; the second is a plastic bubble supported by a curtain of air. The air pump draws little current and promotes airflow. Both bags work well if used properly. The trouble is the hassle. You must be very careful not to trap moisture. While the air-curtain type won't trap moisture, it requires electricity. One final step in fighting rodent infestation is to make spot checks every couple of weeks for signs of varmints. If you see droppings or notice that unpleasant mousy smell, you'll know the steps you have taken aren't working 100 percent. Then, the first thing to do is to get rid of the mice. Then, you'll need to protect the vehicle from being re-infested. If you inspect the car on a regular basis, you should be able to remedy the problem before major damage is done. 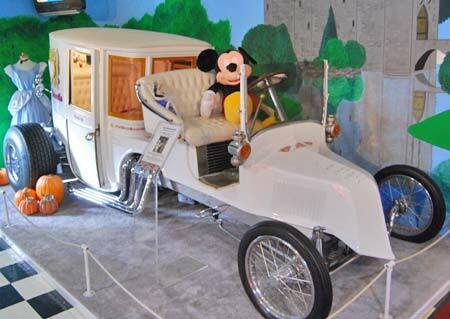 Though the Volo Auto Museum (www.volocars.com) put Mickey in the driver's seat of this hot rod, you'll want to keep mice out of your classic car. The first step in keeping mice out of your car is to keep them out of the building it's in. 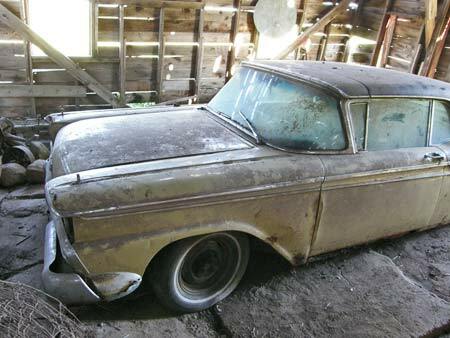 That would be hard in the case of this '59 Ford Skyliner. There's no way for mice to get under or through the walls in this clean, secure, car storage building.